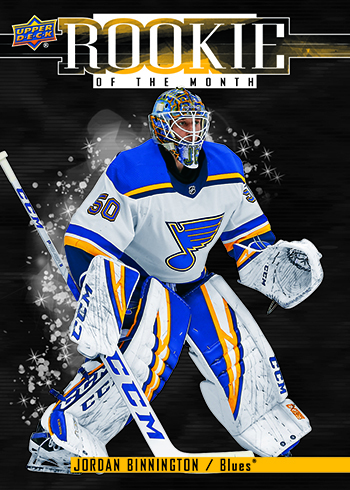 The 2018-19 Game Dated Moments Rookie of the Month Achievement for February is now live on the site! Collectors who have collected all released 2018-19 Game Dated Moments cards from the month of February can now head to the ACHIEVEMENTS page to redeem for this achievement. Be sure to hold on to these Rookie of the Month Achievements through the end of the hockey season so that you can redeem for the 2018-19 Game Dated Moments Autograph Parallel Achievement once all cards for 2018-19 have been released. Collectors who redeem a complete 2018-19 Game Dated Moments – February set on Upper Deck e-Pack® and elect to redeem them for this Rookie of the Month Achievement – February card will have that achievement card added to their e-Pack collection, with the ability to have the physical card mailed to them. The Blues continue their improbable start to 2019 with a rock solid month of February anchored by their stud rookie goaltender, Jordan Binnington, who has been collecting Blues rookie records like it’s going out of style. Binnington posted a 10-1 record in the month, including 4 shutouts, as he became the 10th rookie in league history with a 9-game winning streak, the 9th rookie with 10 wins in a calendar month, and the 4th rookie to win their first seven home starts, proving to be the rising tide that raises all boats for St. Louis as they find themselves firmly in the playoff race holding down the 3rd spot in the Central division entering March. It’s not too late to grab retired Game Dated Moments that you may have missed to complete your 2018-19 Game Dated Moments – February set and redeem for this achievement! 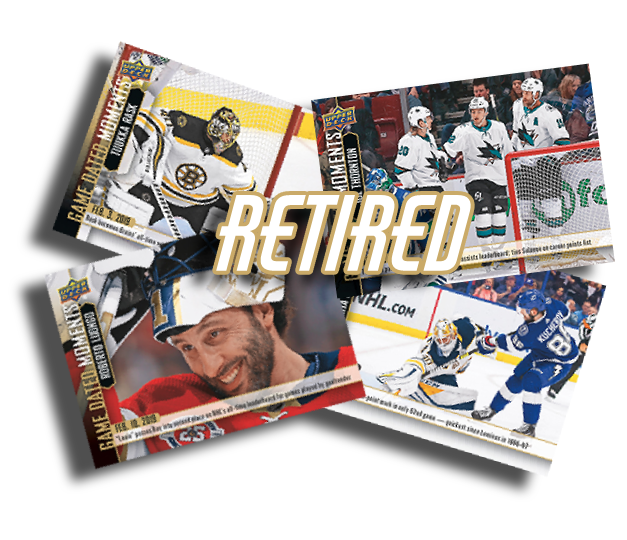 Head on over to the e-Pack Trading Marketplace and spark up a trade for these retired 2018-19 Game Dated Moments – February cards to complete your collection! *Game Dated Moments Rookie of the Month Achievement – February cards may be shipped or transferred to a linked COMC account. However, this option will not be enabled until 3-4 weeks after the achievement has been pushed live on the site. If you have this Game Dated Moments achievement card in your collection on e-Pack when the option to be shipped has been enabled, you will receive an e-mail from e-Pack alerting you.